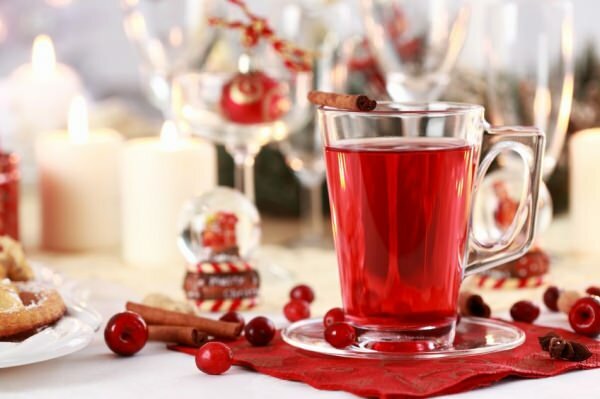 Even though this winter drink contains sugar, one mug of Hot Cranberry Ginger Punch won’t ruin your weight loss plan and won’t make you put on weight instantly. It’s delicious, cozy, and simply inspiring. If you are on a strict diet, you can use stevia instead of sugar. In a saucepan mix together ginger and cranberry juice. Bring to a simmer and cook for 18-20 minutes. Add lime juice and sugar to it. Simmer for another minute, stirring thoroughly until sugar is fully dissolved. Serve hot.